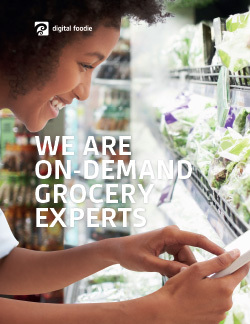 Learn how grocery retailers from around the globe are benefiting from our award-winning on-demand grocery platform. Digital Foodie provides a customizable white-label on-demand grocery platform with all the tools needed to run grocery operations online. The technology is proven and trusted by companies from family owned independent businesses to large scale multibanner retail chains, having presence in . 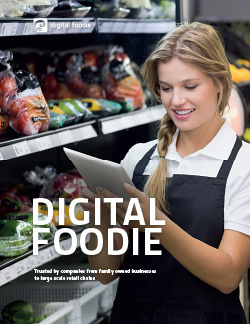 The Digital Foodie on-demand grocery platform has won awards for the best user experience in 2015, best online store of the year in 2013, and comet of the year in 2012. Our recommendation technology is praised by IGD Retail Analysis. But don’t take our word for it. 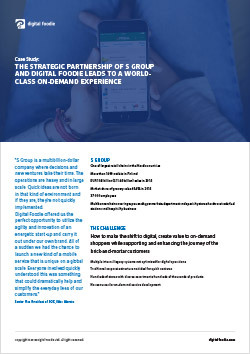 Download this document to find out how grocery retailers from around the globe are benefiting from our award-winning on-demand grocery platform.